A Spooky House for Halloween! 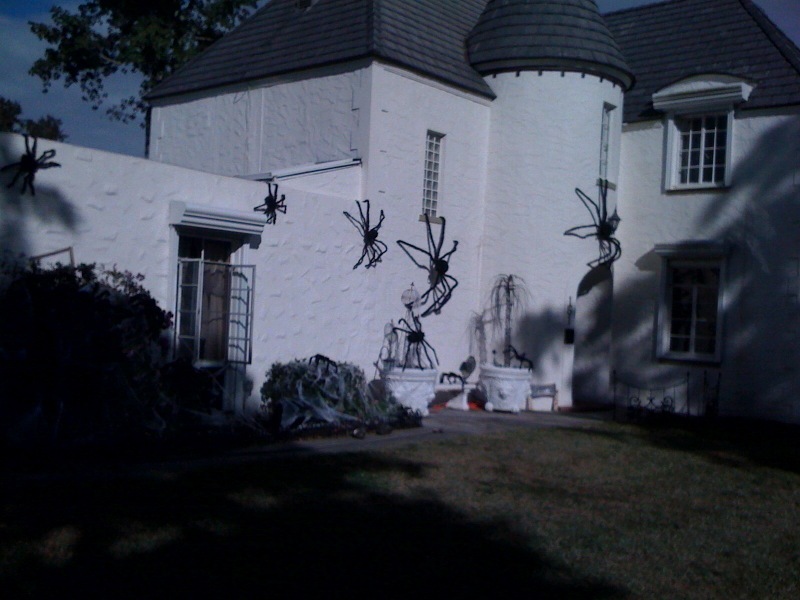 Check out this house for Halloween! LOVE the shadows they create. Pretty spooky isn’t it? 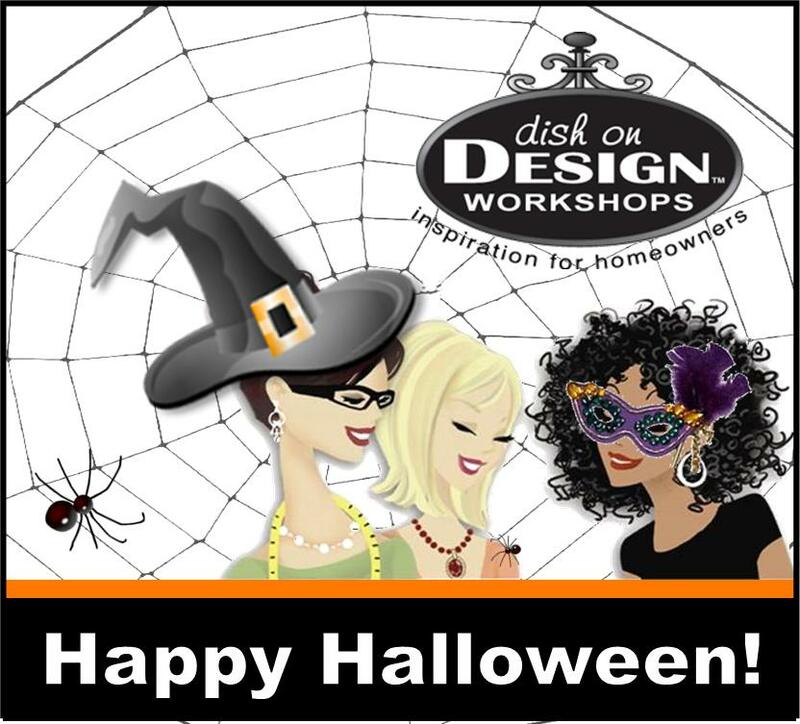 Spiders can be found at grandinroad, meijers and most costume stores. It may be too late for this year, but shop on Sunday for great buys for next year! 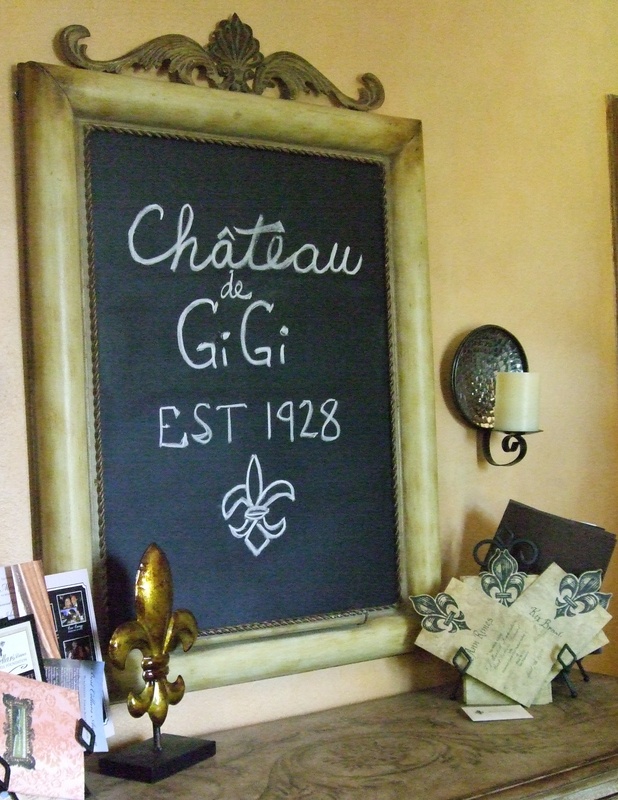 Entry Way: A chalk board in an entry way is a great way to greet guests! This one is used to give a little history about the house, but it could also be used to say Welcome, Happy Holiday’s or anything that you’d like to greet a guest with! The Kitchen: Let’s face it, when you have a party or a gathering with friends, like it or not, they’re going to end up hanging out in your kitchen! 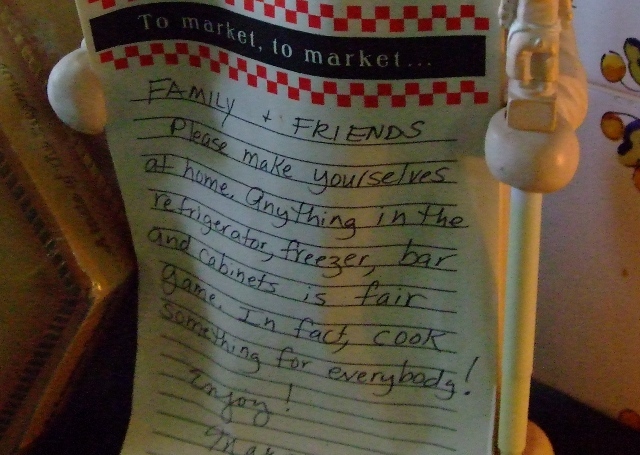 It’s a natural gathering place, so why not put a clever note like the one above inviting guests to make themselves comfortable and help themselves to whatever they’d like. A Guest Bath: I like to make sure that when guest are staying overnight, their bath is stocked not only with towels, but items they may need while visiting. Some of these items are an extra toothbrush, toothpaste, shampoo, hair dryer, disposable razors, hair spray, lotion, tweezers, nail clippers, tampons and deodorant. 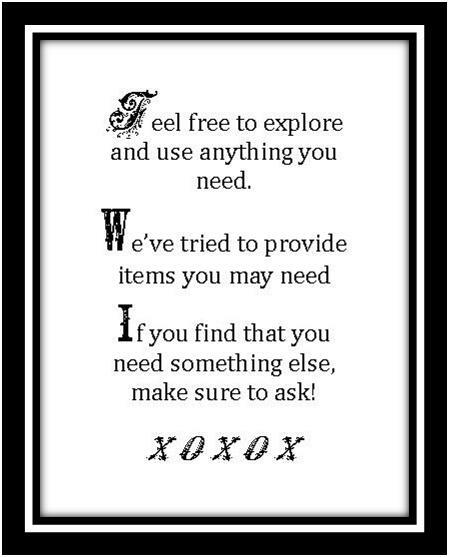 Leaving a framed note such as the one above let’s them know that anything there is for them to use! A Guest Bedroom: There’s lots of fun ideas to do for a guest bedroom. My aunt likes to place a framed photo of her and the guest on the bedside table. You could leave a note under the pillow expressing how glad you are that they are visiting and place chocolates on a pillow with the bed turned down as well. An extra pair of reading glasses next to a book is a nice touch and I especially like a book with fun things about the town that you live in as well. I love a good game. I love football games, board games and even a few internet games. Games we play at home are part of the memories we create for the future. Think about it. Chances are some of your best childhood memories involve games. For me, favorite outdoor games were Kick Ball, Ghost in the Grave Yard, Kick the Can, Freeze Tag and Red Light, Yellow Light, Green Light STOP! Anyway, my point is that when decorating our homes, we need to plan for the games we play. If you are saying, hmmmmm…. I don’t play any games – then I challenge you to change that. Games are about laughter, friends, family and memories. Games are good for the mind. If you can include them in your home, you’ll be happier for it! Here’s some great ways to incorporate games within your home’s decor and ideas for storage as well. Place a favorite game on a table between two chairs and always have an on going game with a family member. Good games for this are scrabble, checkers, chinese checkers or chess. 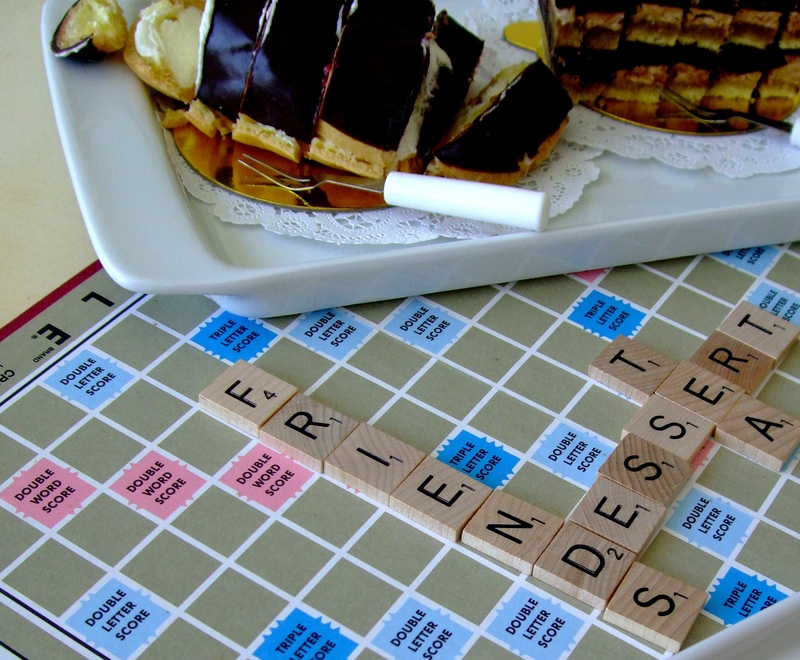 You could also set a game on a coffee table and invite guests to do a word for fun. Even better, add a coffee table book about the game with strategies, photo’s, history and more. Keep DVD’s of games for your TV stored in a drawer of an end or coffee table. Interactive games such as Family Feud, The Price is Right, Deal or No Deal, etc. are great when you have a gathering and can form teams. Break out a game out after a holiday dinner and it will beI promise a lively, memorable time for all ages! 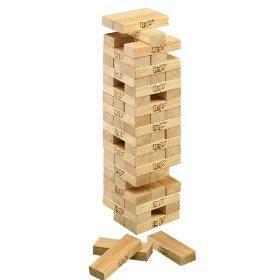 Have a Jenga game started when kids wake up on a day off from school or when guest come to a party. It’s a great way to start a day or break the ice at a party! Love to play Wii? Chances are that someone in your family does! A storage ottoman is a great way to provide extra seating for guests or a place to put up your feet. It’s also perfect to store your game gear. 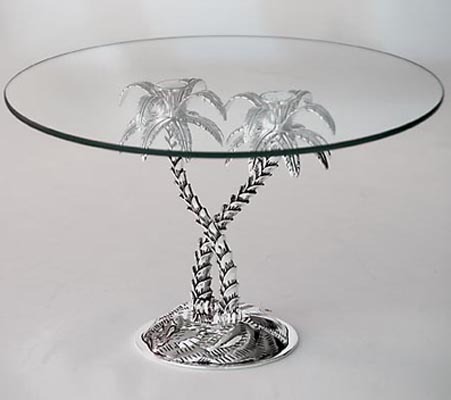 They come in lots of sizes and are perfect as a coffee table, tucked under a sofa table or in front of a fireplace. While you’re at it toss in a blanket for cool winter nights and make sure it’s big enough to a hold a guitar if you have guitar hero! Disclaimer: It’s true…I am not a food expert. In fact, some may cynically say it’s a miracle my kids somehow survived their teenage years on fast food, boxed entrees and cheesy meat loaf pie. Some may even smirk as I say they grew up to be smart, healthy and charming young adults…yet that’s true too. I will admit…some of the food back then was good, in fact, most of it tasted good – It just wasn’t really good FOR you. And yes, some of it was just plain bad. The good news is I’ve been exploring organic, trying to eat healthy and am actually enjoying my kitchen. This is especially good because although the kids are just about out of the house and on their own, food is the quickest way to get them to visit! Anyway, the point here is…I am not a food expert! Come visit with me on Fridays and my guess is you’ll do one of two things: 1) shake your head in sad disbelief that anyone could actually be this uneducated about food or 2) find yourself right along with me, saying…”who knew!” or “I can do that too!”. YOGURT FROM SCRATCH a work in progress 🙂 I was visiting a friend in Florida a few weeks back who was making her own yogurt and I was intrigued. Call me sheltered, I didn’t know people made their own yogurt. It was so delicious and she used it in so many healthy ways, that I decided to try it last weekend! It’s actually quite simple and my first batch turned out simply yummy! I tripled the recipe and made enough to share with my children and friends. You’ll find that different things will work for you, so I’ll share what I did and alternatives that I’ve read about. Containers to store the yogurt when finished. Ideally, use glass jars that you might normally throw away or recycle, such as those for spaghetti sauce, pickles, baby food etc. You also could use plastic containers from peanut butter, ricotta cheese, yogurt, etc… I was impatient and didn’t have any on hand, so I purchased the 16 oz wide mouth ball containers at Meijer’s and really liked them – the wide mouth is easy to clean! Only thing is that unless you are giving them away as a gift, it can get costly if you don’t get them back to use again. 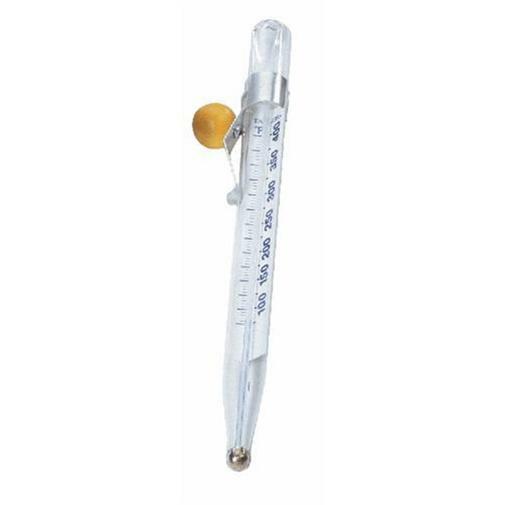 Thermometer that will register 180 degrees. Preferably (but not necessary) with clip for edge of pot. A meat thermometer will also work. Single Large P0t or Double Pot. Any large pot works well, but if you find that your milk burns on the bottom as it heats to 180 degrees, use a double boiler or simply a smaller pot inside a larger pot filled with water to protect the bottom. Note: if you find that the milk is thickening/burning on the bottom of the pot, do not scrape; simply turn the heat down a bit. Scraping the bottom will cause your yogurt to taste burnt. That’s bad! ½ Gallon of Milk. 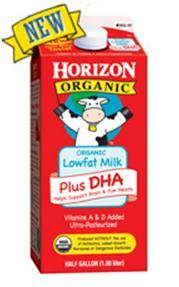 I used Horizons Organic Reduced Fat Milk with DHA Omega-3 which is supposed to be good for your heart, brain and eyes. Yogurtmet and/or yogurt with live cultures. 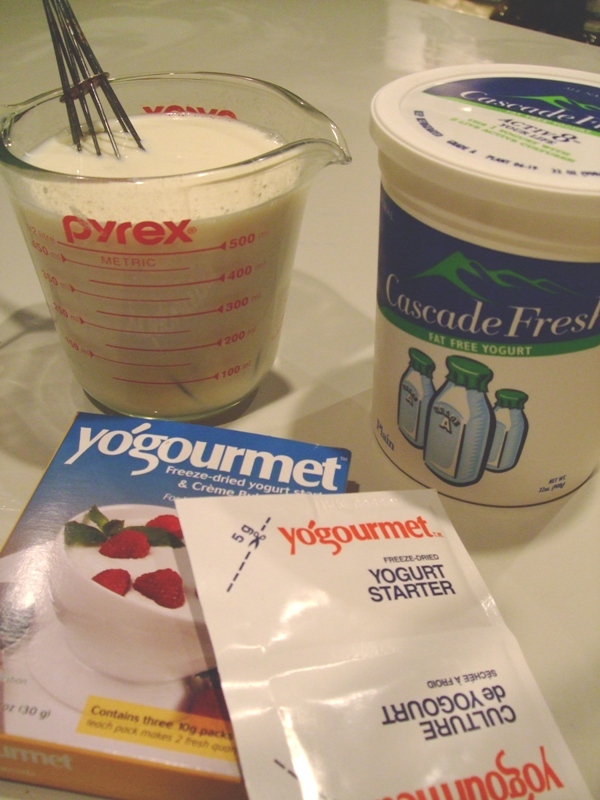 Per ½ gallon you’ll need either 2 packets of Yogurtmet, 6 Tablespoons of Yogurt with live cultures (can use yogurt from previous homemade batch once you’ve made some) or 1 packet + 3 TBL of Yogurt with live cultures, which is what I used. Note: Yogurmet can be found in the refrigerator/yogurt section of whole foods or other healthy food co-ops. If you have a gas stove (lucky you)…Place the jars into the stove with the pilot light lit. Place the jars on a heating pad (on top of a cutting board to protect counter) and cover jars with towel to keep heat in – just make sure it’s an old fashioned one that doesn’t have an automatic shut off feature, which is what mine had. Unfortunately, I made my yogurt late at night and was going to put it in the fridge in the morning. The automatic shut off was worse than having a newborn. Not a good nights sleep – haha! I have read that you could do this as well. Leave yogurt in pot and place inside larger pot with warm water and change the water occasionally; making sure to cover the pot to keep heat in and protect from dust. Place jars on a warming plate. 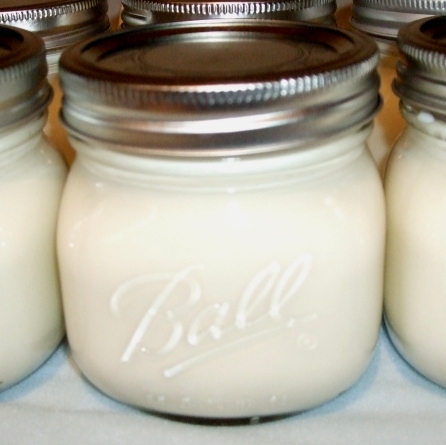 Regardless of your warming choice above, leave jars for 7 hours and then place in refrigerator. You could do it for as little as 5 hours and as many as 9 hours, but the longer they are left to warm, the thicker the yogurt will get AND the tangier it will get. You want to keep it at a temperature between 95 degrees to 106 degrees. 7 hours is a good starting point and you can adjust the next batch accordingly. Also, yogurt will thicken additionally in the refrigerator. Tip: Place in the back of refrigerator which is usually the coolest. Yogurt will be ready to eat in 4 hours. 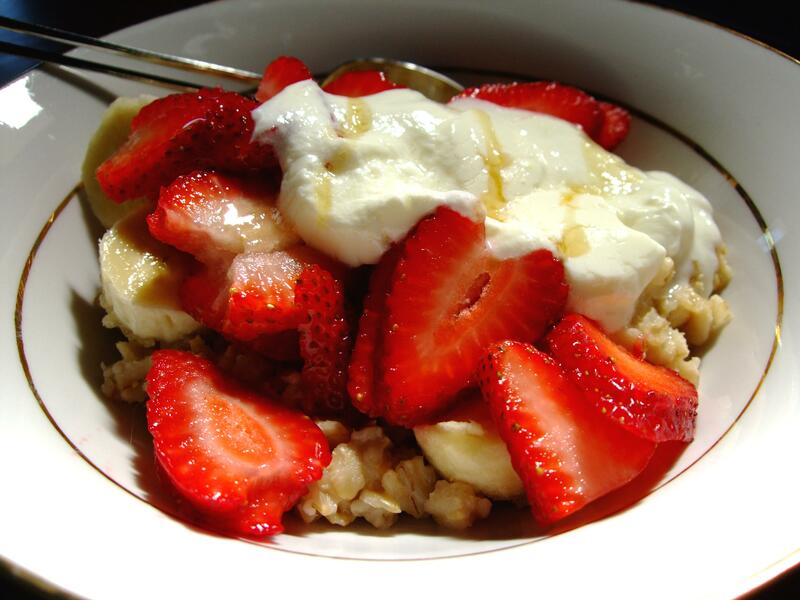 You can sweeten the yogurt with a bit of honey and eat with oatmeal, fruit, granola and more. Add a bit of honey and jam for a fruity taste. Add finely shaved cucumber (removing as much water as possible before adding to yogurt) to create simple riata sauce that you can eat with spicy foods to calm the heat. Top butter nut squash or sweet potatoes with yogurt drizzled with honey and a sprinkling of cinnamon. I’ve heard that it’s best to purchase honey that was made in your region because honey contains natural anti-bodies to help fight illnesses and you want to have anti bodies for your particular area. Just an interesting tidbit that I learned! Look up at the ceiling. Is there anything special up there? The surface that everyone seems to forget when decorating is the ceiling and my bet is you’re looking at one that’s been forgotten as well. Let’s face it, we give our full attention to selecting the flooring, choosing treatments for the walls and windows, but more often than not, we forget about the ceiling. Oh yes, we choose lovely lighting and hopefully we’ve chosen it for both beauty and function – but what about beyond the lighting? There’s endless decor ideas for ceilings such as faux painting, stenciled designs, tin tiles and more; typically, we just don’t think to use them. 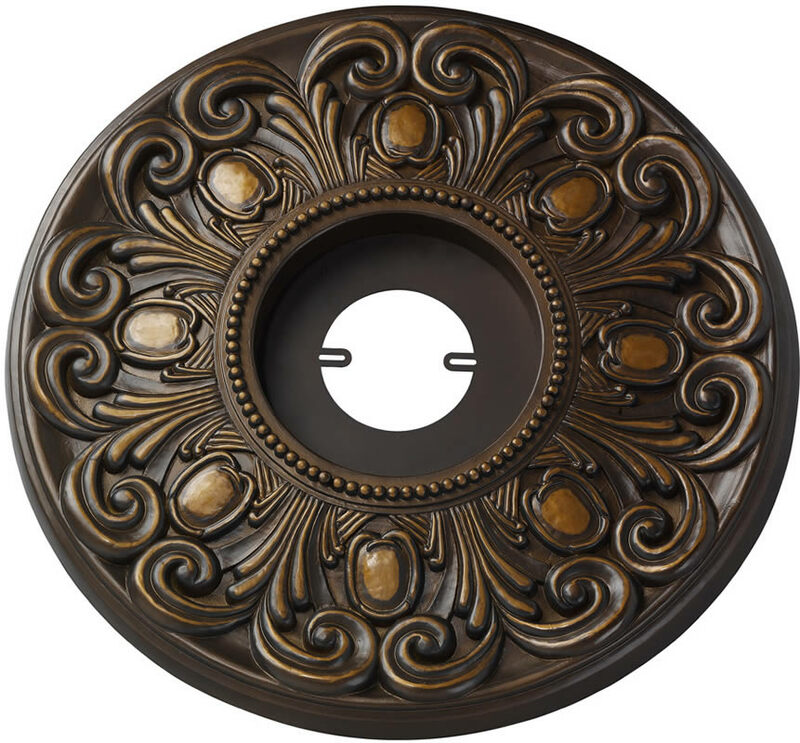 One of my favorites accents to place a ceiling medallion above a chandelier. 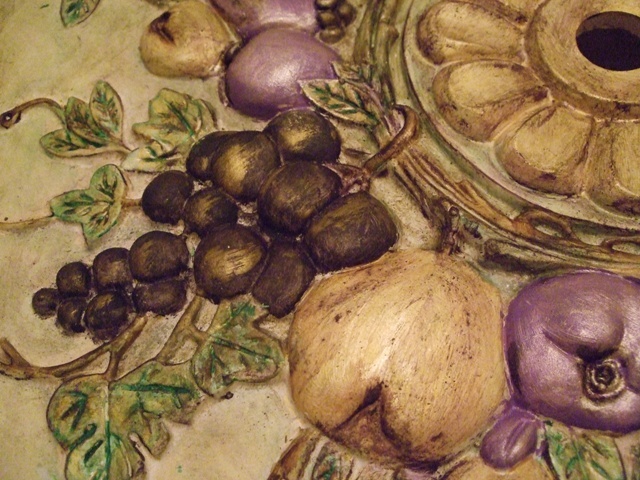 Medallions are affordable, available in all shapes and sizes and can be hung as-is or even better; painted. I have a medallion sitting in the corner of my dining room that I’ll post about when I get around to finishing it, but in the meantime I photographed a project that my friend painted one day when I was visiting. 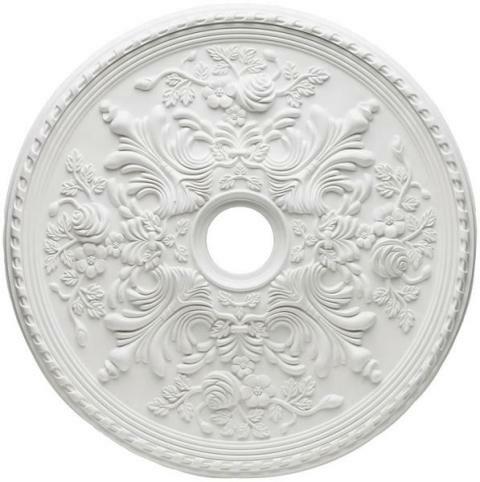 Here’s some helpful tips for selecting, painting and hanging a ceiling medallion. Selecting a Medallion. Medallions come in all shapes and sizes. 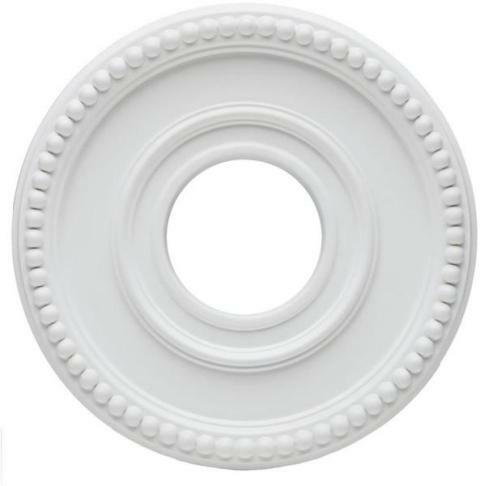 Your local home depot or Lowe’s, will offer a choice of assorted white medallions which be mounted as is or hand painted to match your trim or decor. 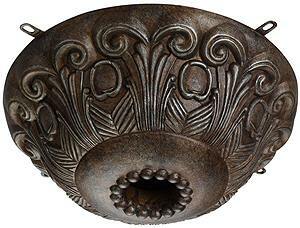 You can also find medallions in a bronzed finish to match your chandelier. They can range from $18.00 to $200.00 and up. Some are very lightweight and others are heavier. Once hung, you it’s pretty difficult to know if it was inexpensive or not. It’s about choosing the style and finish that is right for you. You can get a simple classic design like this.. Above are just a few of the many styles and finishes available. The photo’s are from LampsUSA and additionally, you can find lots of online sources. 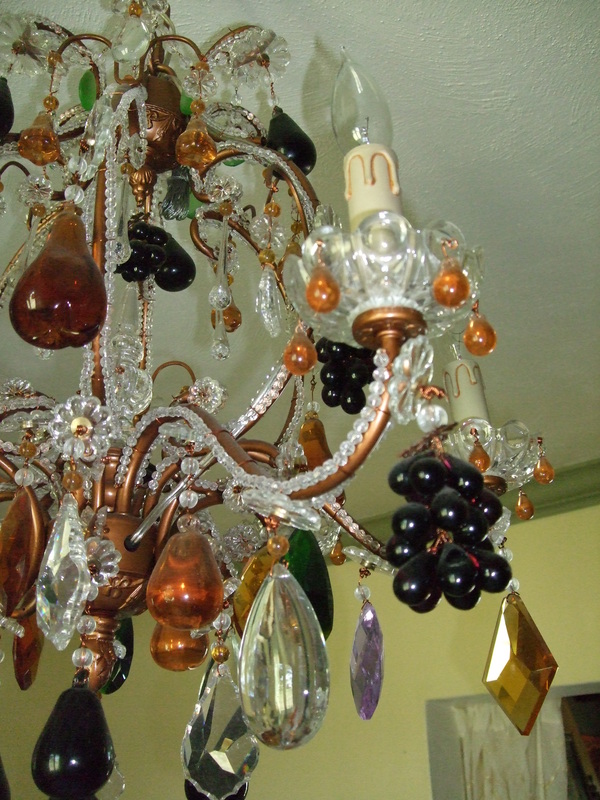 A ceiling medallion should be two-thirds the diameter of the chandelier. Larger rooms and higher ceilings can accommodate larger ceiling medallions. 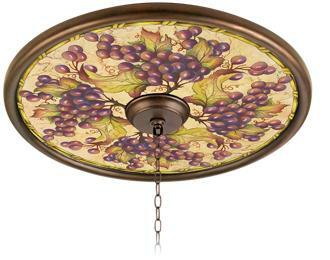 For a typical dining room with an 8′ – 9′ ceiling, a medallion that is 18″ – 26″ in diameter will usually work well. 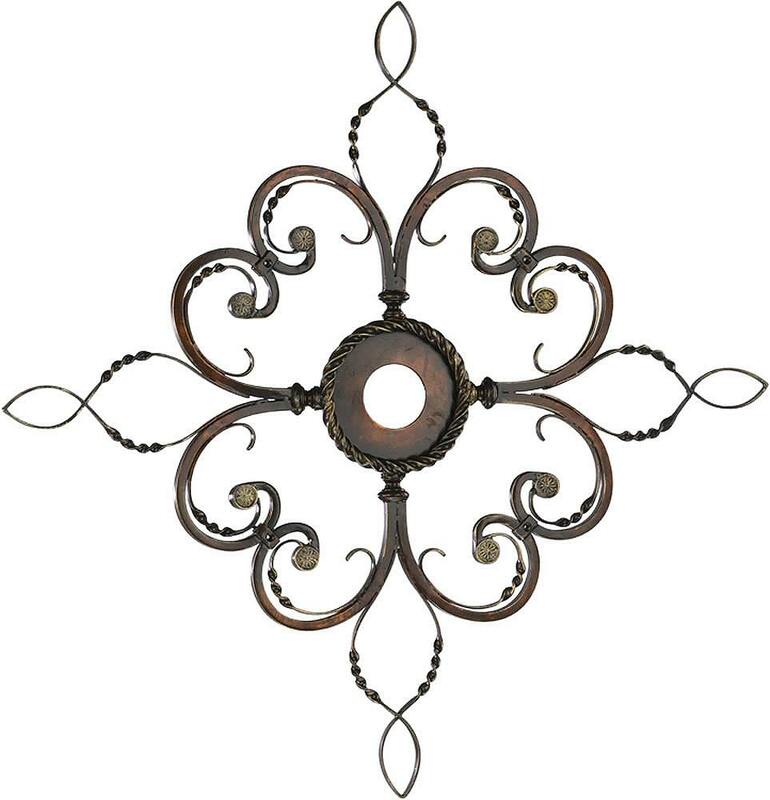 20″ – 28″ ceiling medallions work well with 52″ ceiling fans. Clutter is an evil thing…All of us strive to get rid of it all, but sometime the stuff we have on our counters are things we like to have at our fingertips and often don’t have the cabinet space to store it. 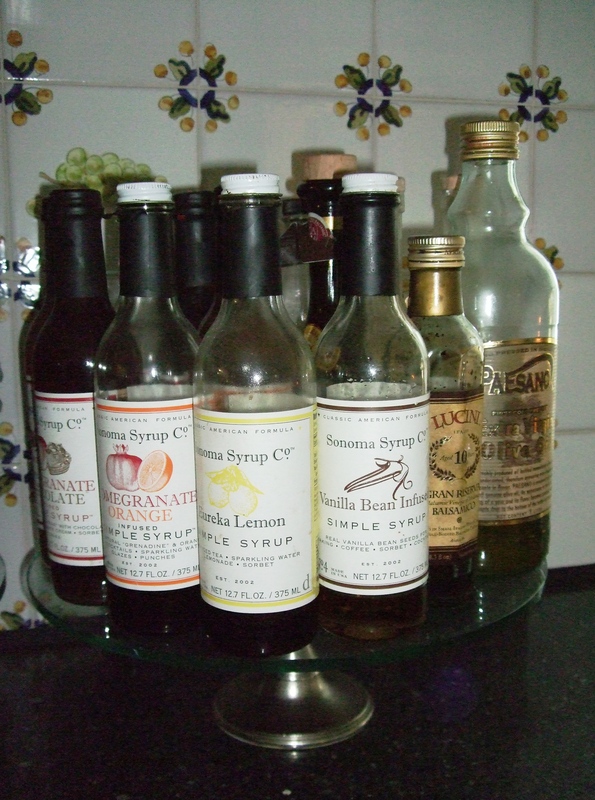 The thing is, when assorted items are on your countertop, it not only looks messy; it’s difficult to clean around them. A friend of mine has come up with a perfect solution that she uses in her kitchen and bathrooms. 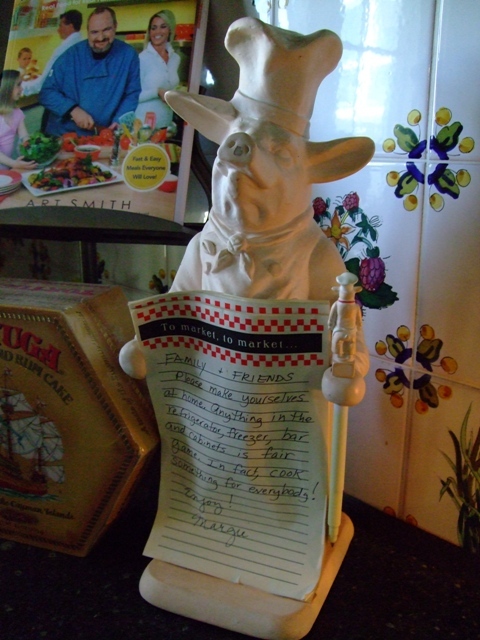 Items that she normally kept grouped on a counter top, she now puts on top of a cake plate. The raised plate gives items a place of their own, looks great and best of all makes cleaning the counter a breeze. I think it’s a brilliant idea. 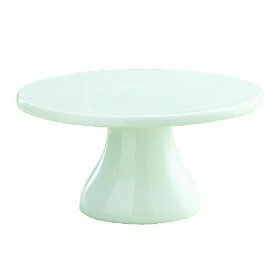 HomeGoods has a great selection of cake plates usually for around $12.00 – 19.00. 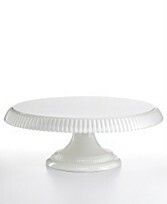 TIP: Add some glam by purchasing an inexpensive cake plate and using a glue gun; glue a band of beads to the rim. 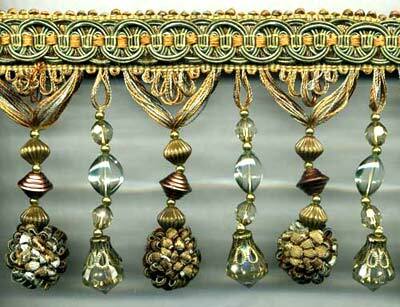 You can find beads online or at most fabric and craft stores.